The demand within the global market for wellness tourism is expanding on account of the global propensity of the masses to immerse themselves into the cultures of a foreign land. Wellness tourism essentially refers to travel to a different country or region in order to get physiological and mental tranquillity through the native therapies of that region. In the contemporary times, globalization has not just led to the exchange of products and services across regions, but has also led to an exchange of cultures. Hence, the demand within the global market for wellness tourism is expected to reach new heights over the forthcoming years. Marketing and promotions have played a crucial role in establishing an image of mental peace and physical wellness attained through herbal treatments, spa therapies, and rejuvenation programs in exotic locations. This factor, coupled with the rising paying capacity of the masses has eased the travel of people across countries for physiological wellness. Hence, the demand within the global market for wellness tourism has been expanding at a robust rate in recent times. Furthermore, several holiday planners and hospitality websites have emerged over the past decade, and these entities have extensively promoted the domain of wellness tourism. This has also created growth spaces within the global market for medical tourism. One of the key growth drivers of the wellness tourism market is increasing interest of hospitality industry towards wellness. Large hotel chains are equipped with state-of-the-art health and wellness center that guests that combine on their stay. These offer massage, spa treatments, meditation, spiritual healing, and herbal therapies. Primary travelers who undertake wellness trips focus on achieving wellness. North America is a key regional market for wellness tourism. 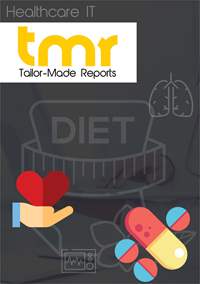 High awareness among individuals about holistic health therapies and high disposable incomes that boost travel for health are key factors that promote North America wellness tourism market. The U.S. and Canada are key domestic markets for wellness tourism in North America. The growing popularity of wellness tourism among baby boomers will further boost the North America market for anti-ageing treatments and spa treatments. Top players in the global wellness tourism market are Accor Hotels, IHG, Canyon Ranch, and Red Carnation Hotels. Other prominent vendors in the market include IHHR Hospitality (Ananda resort), Body and Soul Wellness Center, Fitpacking, Gwinganna Lifestyle, Hilton, Kamalaya Koh Samui, MOUNTAIN TREK FITNESS RETREAT & HEALTH SPA, Wellness & Hormone Centers of America, Aro Ha Wellness Retreat, BodySense, Four Seasons Hotels, Hyatt, Marriott International, and Rancho La Puerta.